Day 167—16 April 2012 Being flexible We had a dinner plan for tonight (and a good one, at that); but, the day sort of fell apart at the end. 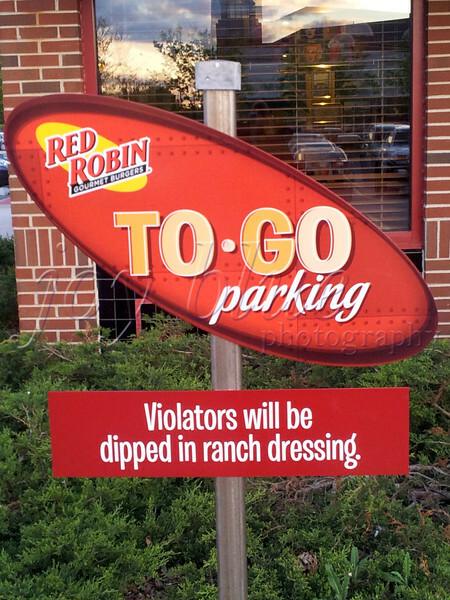 We ended up at Red Robin, to be taken care of by someone else. While I’m not a fan of RR, I’m always amused by this sign. We’ll try again for tonight’s planned dinner on Thursday night. No harm; no foul!